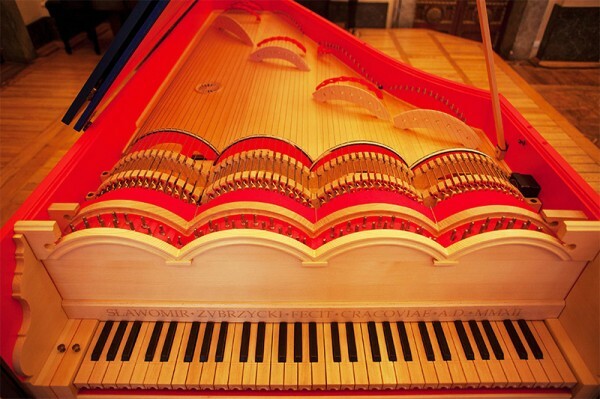 Leonardo Da Vinci’s ‘Viola Organista’ Brought to Life by Slawomir Zubrzycki « Adafruit Industries – Makers, hackers, artists, designers and engineers! Slawomir Zubrzycki spent from 2009 to 2012 reconstructing Leonardo’s viola organista based on an illustration in the Codex Atlanticus, a 12-volume collection of the artist and inventor’s ideas on topics that range from botany to weapons to music. As the Sydney Morning Herald reported, the instrument appears much like a piano, but its mechanics are quite different, which is why you might look twice if you see someone playing what seems like a standard piano while the sounds are that of a stringed instrument.